This paper examines the difference between the neural processing of small motor actions such as pressing a button, when the action follows on an external instruction, and alternatively when it is seen as the free choice of the subject. 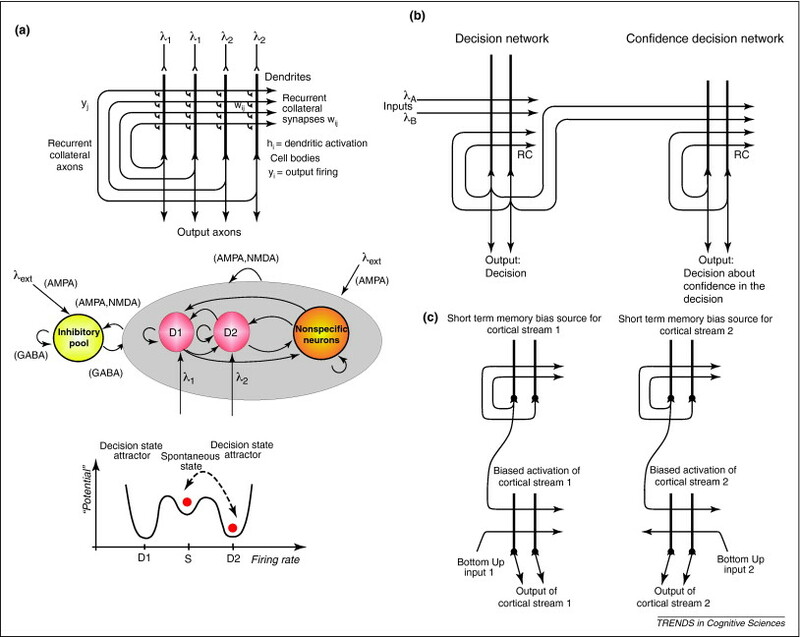 This follows the Libet tradition of looking at trivial motor actions, which can often be performed by the unconscious dorsal system, and for the most part not relating to the brain regions involved in evaluation of stimuli. The authors’ investigation indicate that free-choice decisions lead to weaker intentions than instructed decisions. Processing related to free choice decisions was shown to begin at the same time as processing for instructed decisions, but did not build to the same level of strength. The author’s suggest that the lower strength of the free choice intentions is adaptive in allowing for subjects to change their mind. This renders free choice actions flexible and unpredictable, features that the authors consider to have evolutionary advantages. The weaker strength of free choice processing has been suggested in previous papers, but the methodology of the authors’ study was considered to provide the first direct evidence. An even more recent paper (Vicente et al, November 2014) suggests that a simple threshold of neural activity is not the whole story because at any point inputs from the evaluative parts of the brain may alter a subject’s choice.